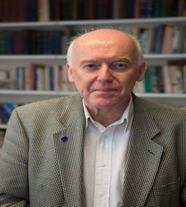 Michael Burgess is Emeritus professor of federal studies at the University of Kent, UK. His interest in federal studies date back to his doctoral thesis completed in the 1970s. Michael’s research interests straddle a number of fields, including comparative federalism, the British tradition of federalism, Canadian constitutional politics and the European Union and European Integration. He has an extensive publication record, and as well as a number of published articles and co-edited collections he has singled authored a number of books, including In Search of the Federal Spirit published in 2012. It is now commonplace to observe that about 40% of the world’s population live in states or political systems that are designated ‘federal’. Among these are these are the United States of America (USA), Canada, Australia, India, Austria, Switzerland, Germany, Belgium and Malaysia. But what does it mean to be ‘federal’? What has to exist for states to be ‘federal’? Federalism derives originally from the Latin term ‘foedus’ that means contract, compact, pact and agreement which spring from the world of international relations. Today we make an important conceptual distinction between the term ‘federalism’ and that of ‘federation’ (Burgess 2006; Gagnon et al 2015; King 1982). Simply put, federalism animates federation. It is the driving force of federation that is intended to protect, preserve and promote what we call ‘the politics of difference’, that is, the formal constitutional, legal and political recognition of and respect for diversity. ‘Diversity’, broadly speaking, refers to cultural-ideological and socio-economic characteristics in societies where they have political salience or in other words they are expressed politically. By cultural-ideological features we mean a combination of linguistic, religious, nationalist, ethnic, historical, philosophical, territorial and even politico-psychological distinctions. In contrast, the notion of socio-economic cleavages refers to the distribution and redistribution of economic resources, social and economic equality and inequality, government investment in infrastructure, regional development, social class and the overall structure of the economy. It is important to note that these sorts of social cleavages are present in some combination in all states but that not all of these cleavage patterns have political salience. Equally, there are varying combinations or patterns among those cleavages that do have political salience so that the politics of difference and diversity embraces different differences and diverse diversities in form and content in each state. It is now received wisdom that the former socio-cultural dimension, considered by itself, is largely to do with ‘identity’ politics and that conflict issues are generally much less bargainable than those in the latter category of a socio-economic nature. In practice of course these sets of cleavages overlap and intermingle to produce unique constellations of cleavage patterns. When we turn to look at federations, it is obvious that they are states; they are federal states. We use the term ‘federal’ to qualify the term ‘state’. But what does the formal description ‘federal state’ mean and what distinguishes it from formally non-federal states? The answer is both simple and complex. The federal state is usually referred to as a state in which the politics of difference and diversity meet the politics of recognition so that they are formally incorporated in a written constitution, the legal system and the political system. And it is vital that these state structures work in practice and not just in theory (Burgess 2006). Some formally federal states, such as the Russian Federation, have all the institutional paraphernalia of federal structures but do not in practice work as a federation should work, largely because of its intimidation of opposition parties, human rights abuses, rampant corruption and its extremely limited form of democratisation. In short, it has the shell of a formal federation but it lacks the substance in its operation. It is, in short, an impostor. In federal states that work, by contrast, the federalism in federation is institutionalised in such a way that difference and diversity are able to breathe and to express themselves as a legitimate driving force in the federation. Federations are therefore complex in seeking always to maintain their ‘federality’, that is, their capacity to sustain federalism in the face of fresh challenges and constant change (Burgess 2012). Invariably it is the ‘territorial’ principle which has typified most formal federations, like those identified above. The building blocks of these federations are what we call ‘constituent units’ that are territorially bounded and contain distinct political communities which together produce something – a federal union of (former) entities or states and a single people – that is greater than the sum of its parts. But while these are integral to the federal state, strictly speaking, they are by virtue of an original constitutional agreement sub-states of the larger federation which may itself create further sub-states out of its own territory. In most cases it is these constituent units or groups of units that contain the federalism that animates the federation, as mentioned above. How, then, should we define the federal state? Consider the following simple definition: a sovereign state distinguished from other such states by the way in which its constituent units are firmly incorporated in the decision-making processes of the federal government on some constitutionally entrenched basis. This is a very broad working definition that accurately conveys the sense in which the constituent parts of the state are related to the larger whole that is the federation. These parts are not constitutionally subordinate to the federal government but are broadly speaking an integral part of it. Through a distinct division of powers and competences, they work with the federal government in the main political institutions of the state while simultaneously operating their own constitutionally guaranteed governmental systems and public policy processes at sub-state level. This facilitates a wide variety of federal models each with their own distinctive ways of policy-making and resource allocation in some form of intergovernmental relations (IGR) that regularly brings together all governments, civil servants and ministers from the two (in some cases three) levels of decision-making to resolve problems (Poirier et al 2015). Before we move away from our principal focus upon federalism and federation, it should also be noted that federations are not the only states in the world that preserve and protect diversity. This is why we referred above in the opening sentence to both formal federal states and informal federal political systems (Burgess 2012). This is a relatively recent distinction in the mainstream literature on comparative federalism and it essentially highlights those formally non-federal states, such as India and Spain, that nonetheless still have a written constitutional commitment of sorts together with a practical approach to problems that are ‘federal’ in everything but the name. Consequently the distinction between the state in theory and the political system in practice is an important one. Interestingly these case studies are exactly the opposite of the Russian case mentioned above. The multinational United Kingdom (UK) is yet another example of a formally non-federal state with a proven track record of the protection, preservation and promotion of sub-state national identity but it does not yet have a formally codified written constitution. This brief survey of federalism and federation would not be complete without some attention paid to the question of western liberal democracy that in a sense holds all of the above together. We must acknowledge that there are many forms of democracy and that they play out differently in different contexts. Most formally federal states have historically been created or have gradually evolved from former imperial structures – as in North and South America and Australasia- or have been created in Europe as a result of the Second World War or the end of the Cold War. The new federal models of Bosnia and Herzegovina (BiH) in 1995, Ethiopia in 1995 and Iraq in 2005, each emerging out of traumatic post-conflict crises involving international intervention of varying sorts, we may consider in many important respects to be of a different kind. But the main point is that with only a few notable exceptions they have been and still are liberal democracies. What must be emphasised most strongly here is that formal federations and informal federal political systems can survive only in thriving liberal democracies. The reason for this is that it is only in such states and systems that the politics of difference and diversity can be constitutionally, legally and politically guaranteed. After all, this is one of the principal purposes of the formal federation and the operating practices of federal political systems. So what is it about liberal democracy that chimes so well with federal states and political systems? The answer lies in democratic theory but for our purposes here we can identify an assortment of values and principles that are indispensable to the functioning of a healthy liberal plurinational democracy. Consider the following: the rule of law; the independence of the judiciary; regular elections of all the main offices of state by secret ballot embracing all citizens above 18 or 16 years old on the published electoral register; a competitive political party system; a legitimate opposition to government with the right to replace it; a viable, functioning local or communal government; and a series of human rights codified in law as a bill or charter of rights. These liberal democratic principles are of course underpinned by a set of basic human values which include the unrelenting protection and pursuit of liberty, a public commitment to different forms of equality and the provision by the state of security and welfare of the person in general. If we think back to the twin cultural-ideological and socio-economic streams of federalism introduced above, it takes little thought to appreciate just how far these liberal democratic values and principles allow the claims of identity politics in particular to breathe and express themselves freely and usually (but not always) without fear. The basic values inherent in federalism such as human dignity, equality, toleration, respect, recognition, reciprocity and empathy dovetail neatly with liberal democratic values as do the federal principles of equal partnership, contract, comity (loyalty), self-rule and shared rule, and autonomy (Burgess 2012). Pondering this, it is clearly easy to dismiss the historical federal models of the Soviet Union (USSR), Yugoslavia and Czechoslovakia as genuine federations, despite what some American scholars have argued, because even if they paid lip-service to the federal idea they were not liberal democracies. The USSR had a so-called ‘Council of Nationalities’ and the Yugoslav federal model of 1974 did nod its head toward recognition of its six constituent national republics but in practical reality they were authoritarian military regimes where all the lines of political communication went through the single central party organisation controlled by a tiny elite. Federalism: A History of Misunderstandings? Having looked briefly at federalism, federation and liberal democracy, it is useful to our larger purpose to consider very briefly some of the widely misunderstood aspects of federalism (as most people know it) and to engage with some familiar criticisms of it that we often read in the British daily press or in the minds of many politicians who should know better but do not. One way to process these misunderstandings and criticisms is to look at the context in which they are made and at who is making them. In the UK, federalism as a viable idea and a practical proposition has been woefully overlooked and even scornfully dismissed as the ‘f’- word. This irrational emotive reaction is not the end-product of a carefully considered and researched judgement; rather it is the ramblings of a confused and largely politically illiterate media and population. It is as if this rather silly act of shaving away the letters of the term is an intelligent way of removing it from the public discourse as somehow unworthy. If we locate the context to the UK state and to the European Union (EU), it will not surprise us to learn that it has generated much more heat than light even if we dignify what has passed in the media as some sort of a continuing public debate with an informed and educated audience. It is rather like saying ‘I do not understand it but I am opposed to it’. The vast majority of the British population and their politicians do not know their own history. For nearly 150 years the federal idea, federal movements and a genuine albeit elite federal political discourse over the reorganisation of the British Empire, the Irish Question and membership of the EU has been present in the British House of Commons, the House of Lords, the Foreign and Commonwealth Office and in some wider government circles (Burgess 1995; Kendle 1989). Today it is ironic that supporters of the federal idea for the UK have been criticised for wanting to break up the union while British federalists who advocate a federal Europe are condemned for wanting to go too far with economic and political integration. But this is really about the point of departure. The federal idea can be both centralist and decentralist depending upon different circumstances so that what would be construed as a movement essentially in a decentralising direction for a federal UK would be cast as a centralist movement in BiH and in the EU. Consequently we can understand why some people find this confusing. The irony is extended when we recognise that a federal Europe is not about creating a state, let alone a unitary state, but on the contrary a decentralized union that in current political parlance is neither fish nor fowl. It is a composite and compound union that contains strong federal, confederal, supranational and intergovernmental elements. In other words it is centralising in order to recalibrate itself into a more mature and advanced but decentralised form of union. The current EU is clearly the latest institutional expression of the European federal idea but it still has much to do in terms of institutional reform and democratisation in order to bring it closer to its mass publics who in the UK do not understand its historical origins and evolution, what it is there for today, how it works and what public goods it provides for its citizens. Small wonder that offering a referendum to this electorate, steeped in the slow drip-drip of misinformation and disinformation by the media for over forty years, have produced such a negative result in June 2016 for both the British and the Europeans. The federal idea in the UK has never really been a subject of serious informed public debate. It is a political idea that is easy to misrepresent and demonise and yet it may still be the basis of hope for future generations. Burgess, M. 1985. The British Tradition of Federalism. London: Leicester University Press. Burgess, M. 2006. Comparative Federalism Theory and Practice. London and New York: Routledge. Burgess, M. 2012. In Search of the Federal Spirit. Oxford: Oxford University Press. Kendle, J. E. 1989. Ireland and the Federal Solution: The Debate over the United Kingdom Constitution, 1870-1921. Kingston & Montreal: McGill-Queen’s University Press. King, P. 1982. Federalism and Federation. Basingstoke. Croom Helm. Poirier, J., C. Saunders and J. Kincaid. 2015. Intergovernmental Relations in Federal Systems: Comparative Structures and Dynamics. Oxford: Oxford University Press. Burgess, M. 2013. ‘The Penumbra of Federalism: A conceptual reappraisal of federalism, federation, confederation and federal political systems’ in J. Loughlin, J. Kincaid and W. Swenden (eds. ), Routledge Handbook of Regionalism and Federalism. London and New York : Routledge. Burgess, M. and A. G. Gagnon. 2010. Federal Democracies. Oxon: Routledge. Gagnon, A.G., S. Keil and S. Mueller. 2015. Understanding Federalism and Federation. London: Routledge.